Supernovas just might be the cleaning service of the universe. It seems these explosions that mark the end of a star’s life work hand-in-hand with supermassive black holes to sweep out gas and shut down galaxies’ star-forming factories. Recent research, led by Michigan State University astronomers, finds that the black holes located at the cores of galaxies launch fountains of charged particles, which can stir up gas throughout the galaxy and temporarily interrupt star formation. But unless something intervenes, the gas will eventually cool and start forming stars again. 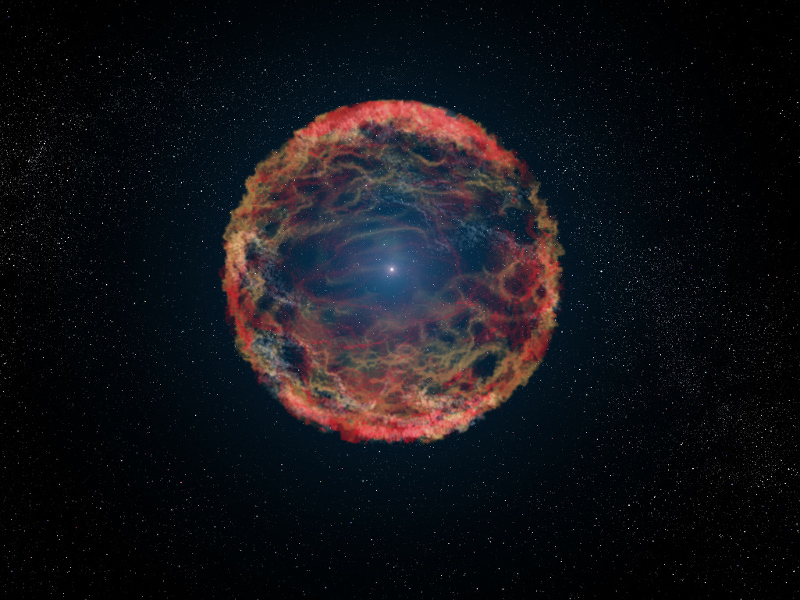 MSU physics and astronomy professor Mark Voit is part of a team of researchers that recently discovered the ‘cleaning’ capabilities of supernovas. The astronomers say the supernovas work with black holes to sweep out gas and shut down galaxies’ ability to create stars. Photo by Harley Seeley. One mega-outburst from the black hole, though, could heat the gas surrounding the galaxy enough to let supernovas take over and mop up the mess. A celestial cleaning partnership might help astronomers understand why some massive galaxies stopped forming stars billions of years ago. Other members of the research team are Megan Donahue, MSU professor of physics and astronomy; Brian O’Shea, MSU associate professor of physics and astronomy; Greg Bryan, Columbia University professor of astronomy; Ming Sun, University of Alabama in Huntsville assistant professor of physics; and Norbert Werner, Stanford University research associate. This research was recently published in Science News and Astrophysical Journal Letters.